the canDIshhh tales: Ola, Bibi Philippines! Footwear is very important. I know this because my Panget is flat footed. I used to complain of achy feet and lower back during my travels. It was I think 2005 when I discovered a footwear that was so comfortable (but it wasn't very stylish) that I finally understood the significance of a comfy footwear. I know they say that rubber shoes are the best, but you see - well, I don't think I carry rubber shoes very well. So I opted to sacrifice comfort with vanity. I think at one point in our lives - we had shoes that were *tiis ganda*, right? For my kids - I want only the best. It shows with the kind of footwear my Panget and I choose for Kailee and Connor. My Panget is very lucky that nowadays, kids' footwear is not confined to just being *white*. Bibi shoes from Brazil embodies the *perfect* type of footwear. It's comfortable AND stylish! I used to not care what Kailee wore (shoes), for me it was always rubber shoes. And then I realized that wearing sandals or girls shoes is really nice! It's very pretty on the eyes, diba? So I started buying her sandals from those foreign fast fashion brands. I liked them because they looked really stylish. Little did I know, they weren't comfortable. One day, out of the blue - Kailee said *Mommy, can I tell you something? * She then told me *I don't like the shoes you bought for me, my feet get ouchie*. It was then that it dawned on me that I must change a significant category for buying kids' shoes. Kailee and Connor LOVE walking barefoot around the house. It honestly bothers me, but I read that kids like the feel of the ground when talk. Another reason might be they feel that shoes are bothersome because most of the time they'd need to wear socks - I remember my mom telling me when I was little to wear closed shoes so that my feet won't grow big! I felt so constricted - I honestly didn't like it. And so I was so happy when I was wearing sandals or slippers! Hahaha.. I am so very happy to learn that Bibi develops shoes so that kids can be kids. They can move however they want with the comfy feeling of the shoes they wear. The shoes are not just limited to sandals, rubber shoes, ballet flats and formal shoes. IBibi shoes has a style for every occasion. The selection of Bibi shoes is complete. They have school shoes, they have sandals, rubber shoes, formal shoes and ballet flats. Whatever the occasion, or style you fancy - whatever the need, for sure they have a something for you. I picked this style for Connor because it's his usual style, what's more is that these are made of leather! Yey! Nice right? As for Kailee, I wanted something different - I wanted a pair of sandals. And I saw this pair - Cai picked this for her daughter Y. I asked for Kailee's size - unfortunately, they didn't have it na. 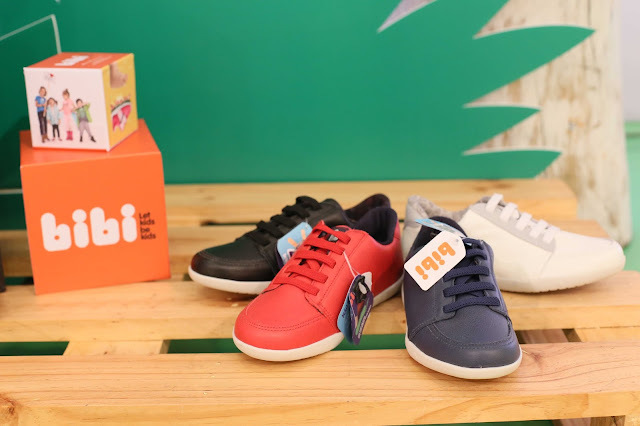 Bibi shoes are available at Rustan’s Makati and Rustan’s Shangril-La, and will soon be available at Playground stores in Trinoma and Glorietta, and online at www.bibiphilippines.com. Follow @bibiphilippines on Instagram and Like the Facebook page at www.facebook.com/bibishoesphilippines. Know why this Brazilian footwear brand is one that kids will love. 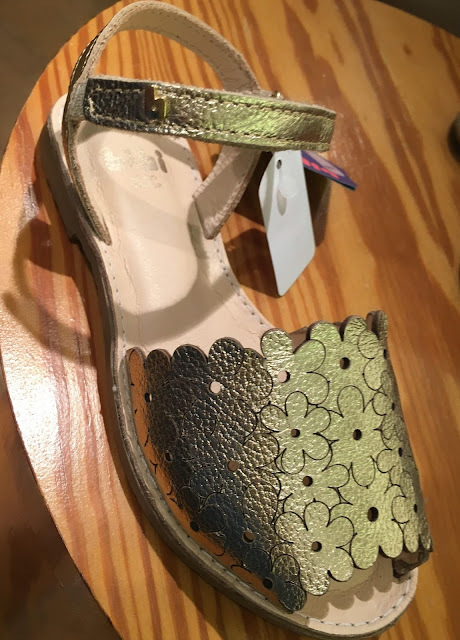 A desire to let children run free, with the best kind of footwear possible—Brazilian brand Bibi shoes make stylish steppers for children that are made so well, it's like they're walking barefoot. What better way to give Bibi shoes a test run than a fun event with kids of all ages? At Rustan's Makati last May 31, remarkable moms brought their equally awesome children to the Bibi Shoes Let Kids Be Kids event, where these little guests got to have their fill of arts and crafts lessons, face painting sessions, and a chockfull of enjoyable games and activities that the kids (and their parents!) got to enjoy. 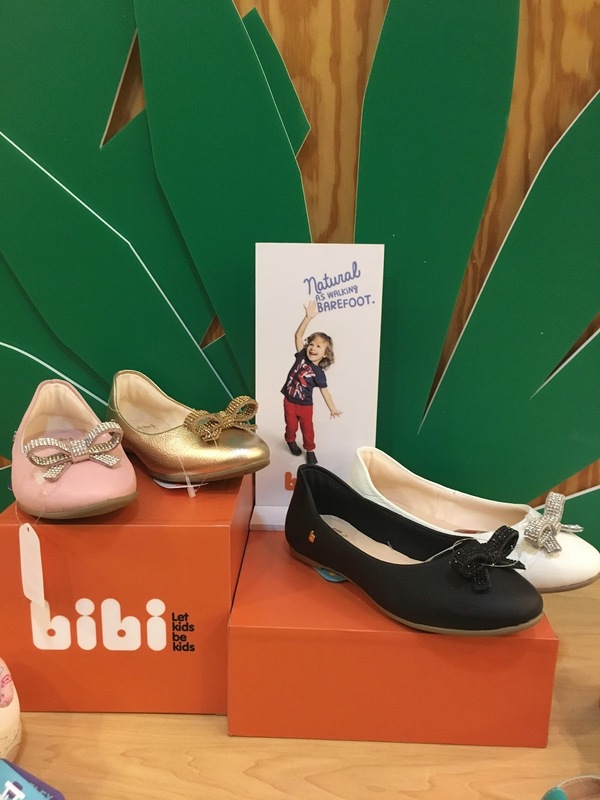 At the event, each child got to don their very own pair of Bibi shoes, who has been in the business of making kid-friendly footwear for over 65 years. Bibi shoes searches deep into science in developing shoes that mimic the freedom, comfort and lightness of a barefoot stride. 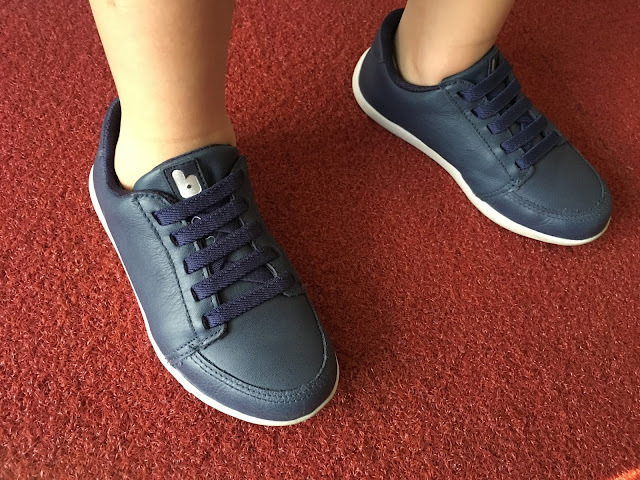 Regular shoes have the tendency to restrict movement, and can be a source of challenge and discomfort to children who are just getting used to walking or running on their own two feet. Bibi shoes takes physiology into consideration, producing pairs that children can walk comfortably, confidently and stylishly in. Indeed, Bibi Shoes lets kids be kids. Bibi shoes is the first children's footwear brand to be certified by the Brazilian Society of Pediatrics and the Brazilian Association of Medicine and Surgery of the Foot and the Ankle, as each pair is engineered with the exclusive Fisioflex Technology, with stimulates the natural development of a child’s feet, making it healthy and well-nurtured. As parent's clamor for safely-manufactured toys grows, Bibi Shoes ensure caring moms and dads that each pair strictly does away with toxic materials, making sure shoes are made with sustainable, non-toxic material. 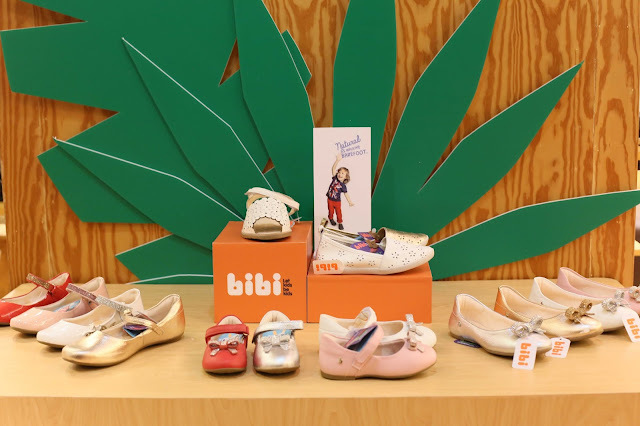 This commitment has made Bibi shoes the first Brazilian footwear brand to receive the Sustainable Origin Silver Seal, marking their place among a very limited array of products that are truly child-safe. 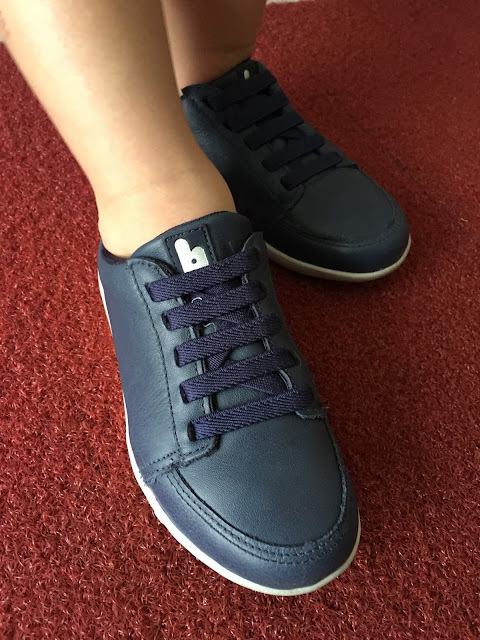 Aside from its kid-friendly attributes, Bibi shoes come in a wide array of sizes and colors that will make each pair a child's best friend through all of his growing-up years. Thanks dear for the help. I found, running shoes for flat feet the best rather than heels or other category shoes. It balances the blood circulation, takes care of our feet and also good for comfort.